I love decorating for Halloween. I definitely start earlier than most people, because I just like having my house look a little freakier than most. Yes, I'm the weird one in my cul de sac, but I am proud and the trick or treaters love it! 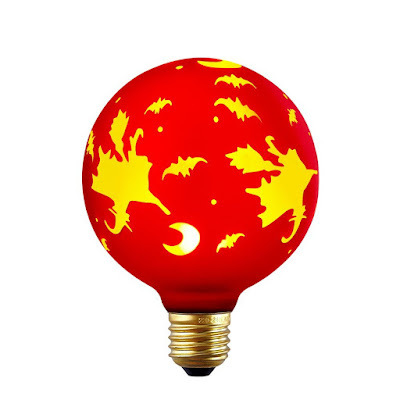 These LED Halloween light bulbs are a fantastic way to make your house incredibly festive. The different shapes will put either fun or disturbing Halloween illustrations all over the house. Come take a peek. 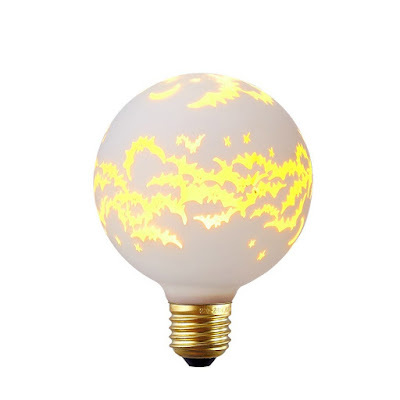 Plugging in this flying bat bulb would give your house a really cool cavernous feeling! Not like I don't have enough issues with spiders. 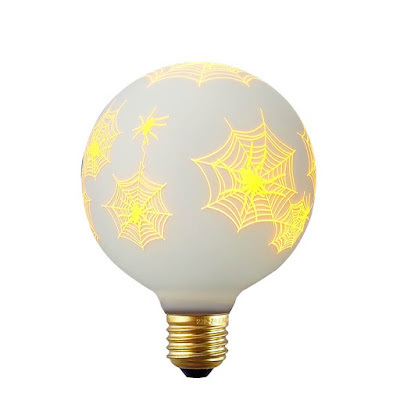 This spider LED light bulb would give arachnophobics the chills. 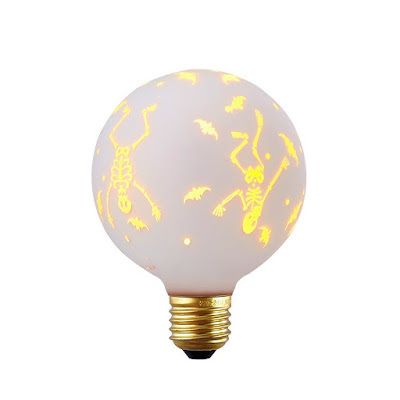 All I can think of when I see this skeleton LED bulb is the "Spooky Scary Skeletons" song! They just look like they're dancing and having so much fun. This small red pumpkin LED light is more kid friendly. It isn't super scary and could even be passed off as a little night light. I can see this being a little disturbing. 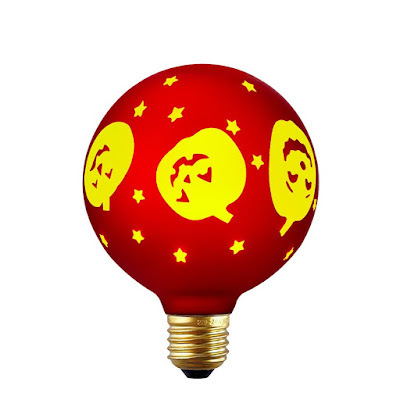 The funny face pumpkin LED bulb would show lots of creepy faces all over the walls. 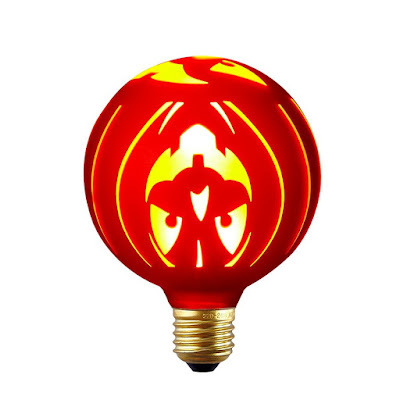 The crossbone pumpkin LED light bulb is pretty simple. I think I would rather see the traditional skull and crossbone look. It's more cheerful than ominous unfortunately. I'm actually really happy to see a flying witch LED light bulb. Just the illusion of having a cackling witch on my walls makes me happy. 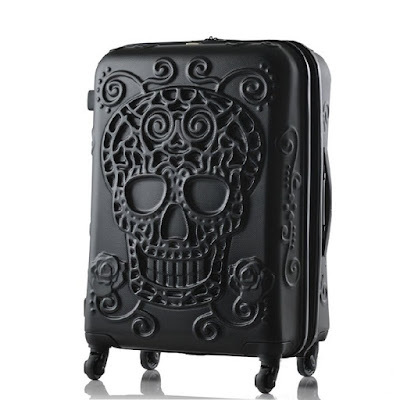 There aren't enough spooky witch decorations since sugar skulls have become more trendy. 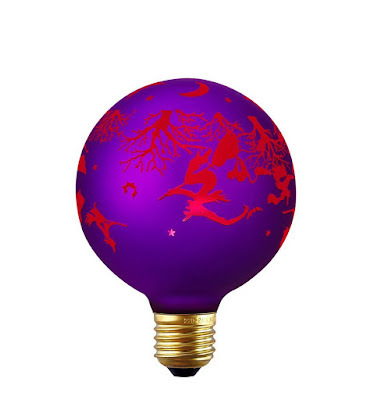 I love the colors on this haunted witch LED light bulb. 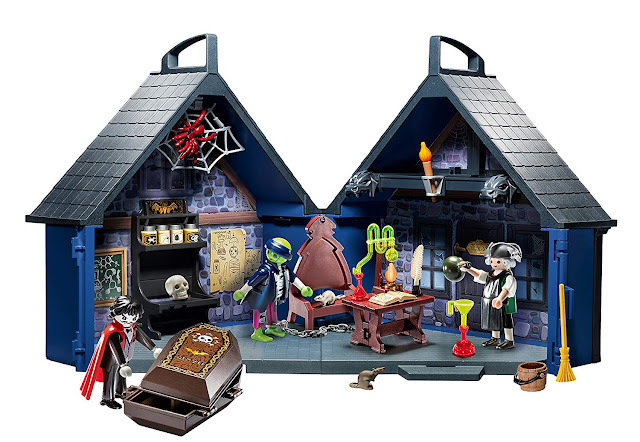 It definitely would give your home a more sinister feeling rather than joyous. If I had to pick a favorite, the haunted witch LED light bulb is my favorite. I think purple and red make a evil duo. 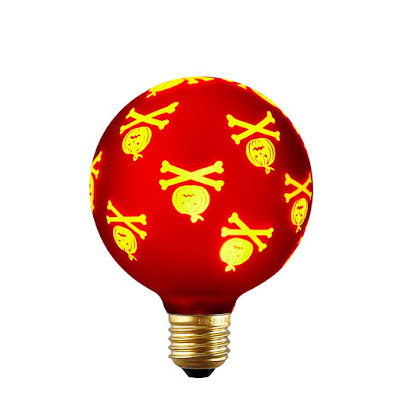 What do you think of these Halloween themed LED light bulbs? Comment below!